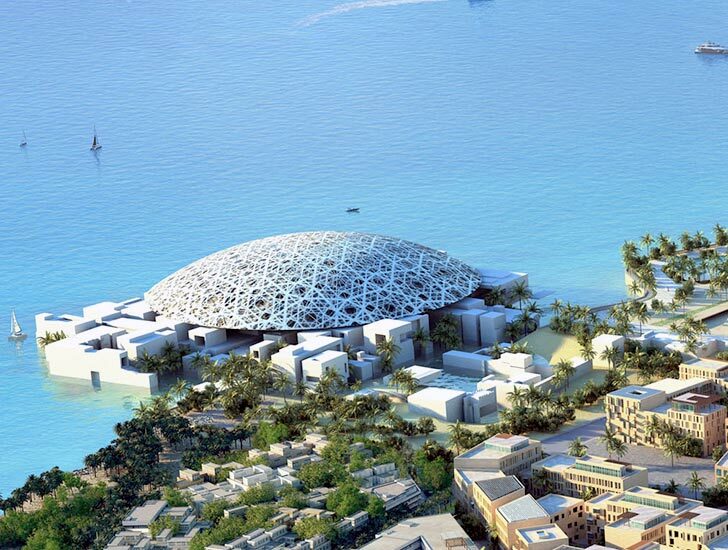 From France to Abu Dhabi, museums have taken people’s breath away. 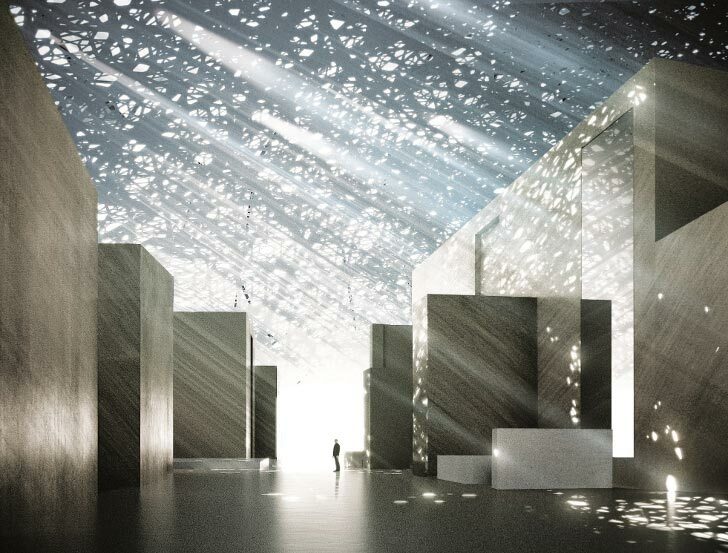 Although the Louvre Abu Dhabi hasn’t yet been completed , it welcomed and celebrated Ramadan with the glow of 4,500 tube lights from atop its dome roof. With interlaced palm leaves in mind, the geometric design was repeated in various sizes and angles in each layer, causing a ‘rain of light’ effect in the interior of the museum. 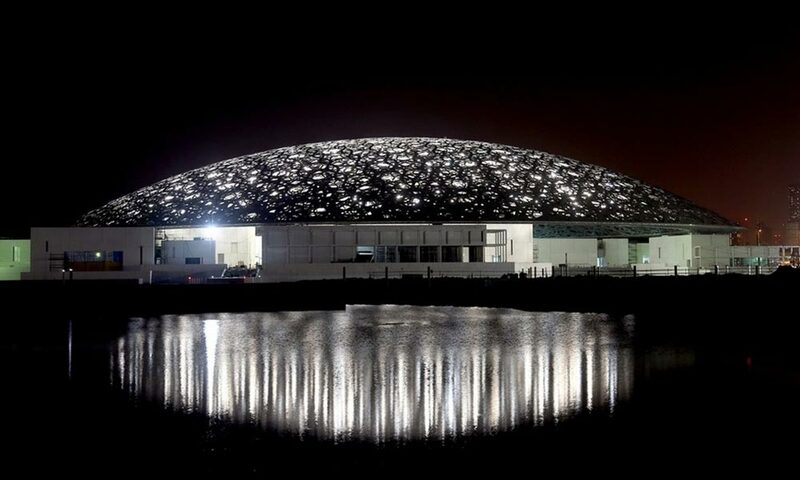 Two-thirds of the dome is covered with this intricate design and it features eight separate layers of cladding made from 7,850 star-shaped pieces of aluminium and stainless steel. The dome is one of the museum’s most important features and it is an emblematic feature of Arabian architecture, evoking mosque, mausoleum and madrasa. 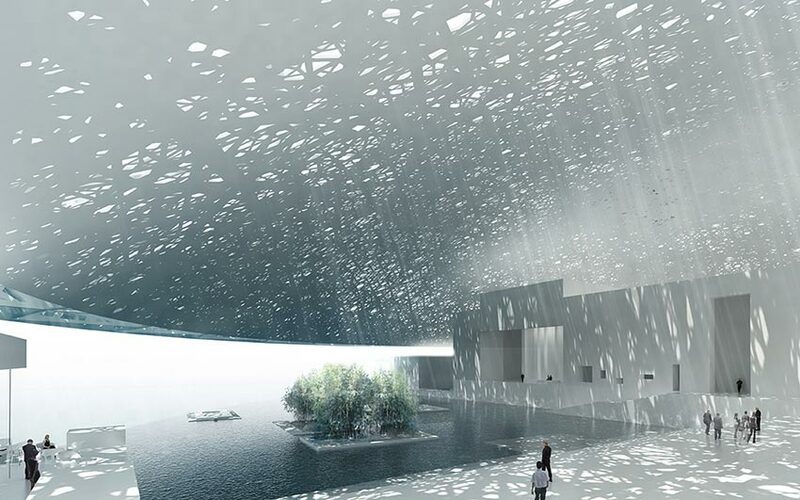 With the unknown opening of this museum, people will get to experience the beauty of this mix of light and temperature.